JOHNNY RAD FEST 5!!!! AUG 17TH & 18TH!!!! 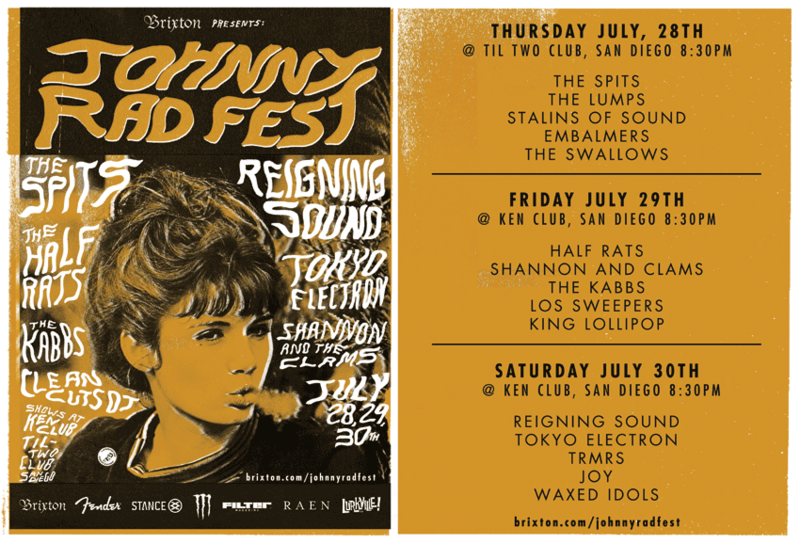 Brixton is proud to bring you the 4th Annual Johnny Rad Fest on July 28th-30th in San Diego, CA. 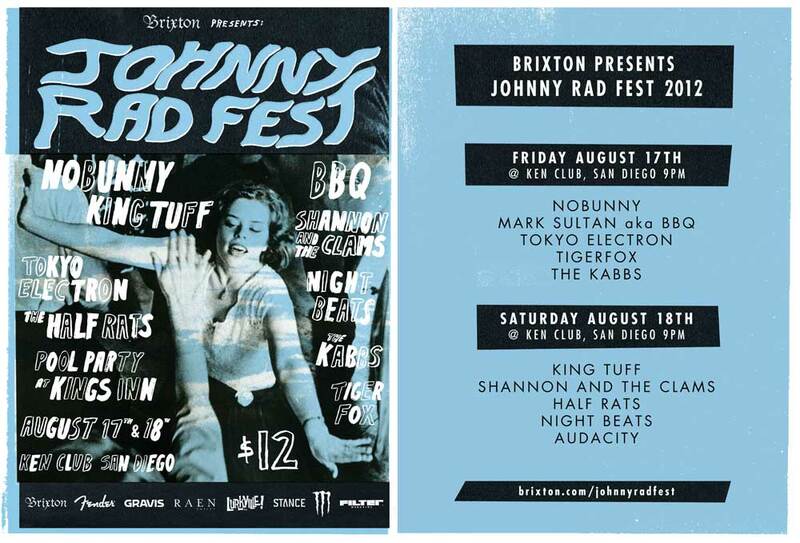 The Johnny Rad Fest is 3 nights of shows with artists we support and follow. We have an awesome line-up of bands including The Spits, The Half Rats and Reigning Sound. Good times will be had by all, so come on out! 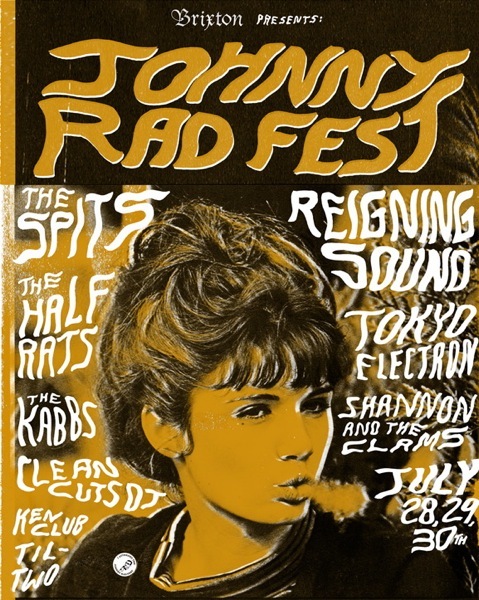 Click HERE to go to the Official Johnny Rad Fest 2011 Page for information about the bands, tickets and venue info. Get your tickets for day 1 @ Brown Paper Tickets Day 1. Get your tickets for day 2 @Brown Paper Tickets Day 2. Get your tickets for day 3 @ Brown Paper Tickets Day 3. The Reigning Sound will be playing!!!!! Reigning Sound will be headlining this years Saturday Night show at the Ken Club!!!!! This is your chance to see one of the greatest Rock N Roll bands in the world. Don’t miss it!!!!! JOHNNY RAD FEST 2011 !!!!!!!!! JULY 28TH-31ST!!! !